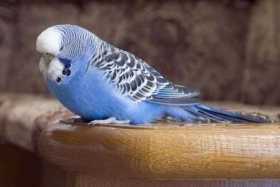 On November 10th, I have lost my blue English parakeet with crusty brown cere, who flew outside and was blown away from a gust of wind. I lost her near Gilley Terrace, Baltimore area. If you find her please contact me. She looks similar to the photo provided.